Keeps time. Keeps you headed in the right direction. 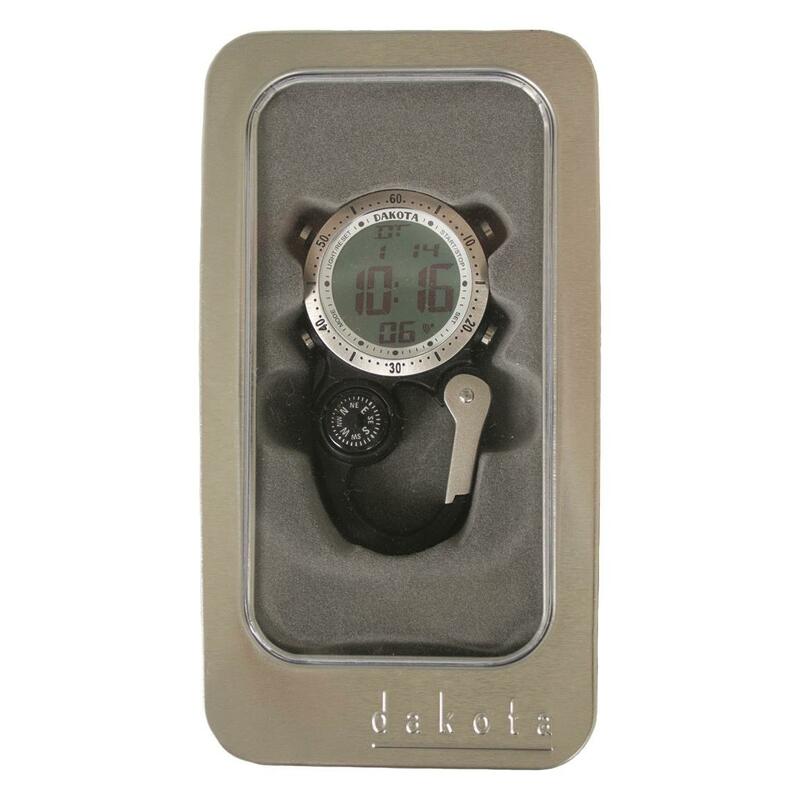 This top-seller from Dakota Watch Company is a full-function timepiece and compass that's lightweight and portable. 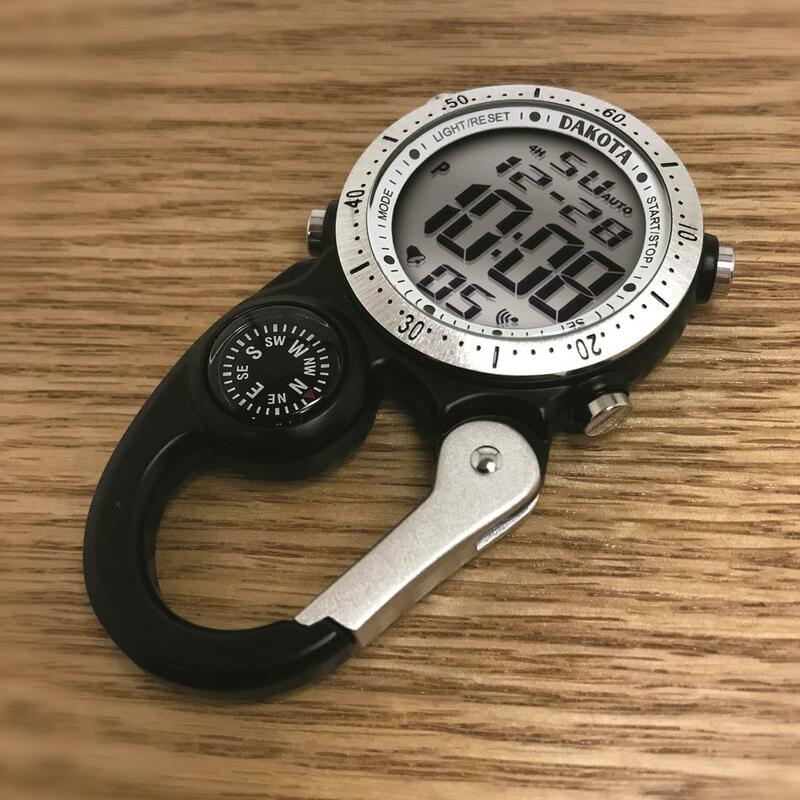 Alarm, countdown, and stopwatch features let you measure how long until sunset, the duration of your hike, or time until your next break. 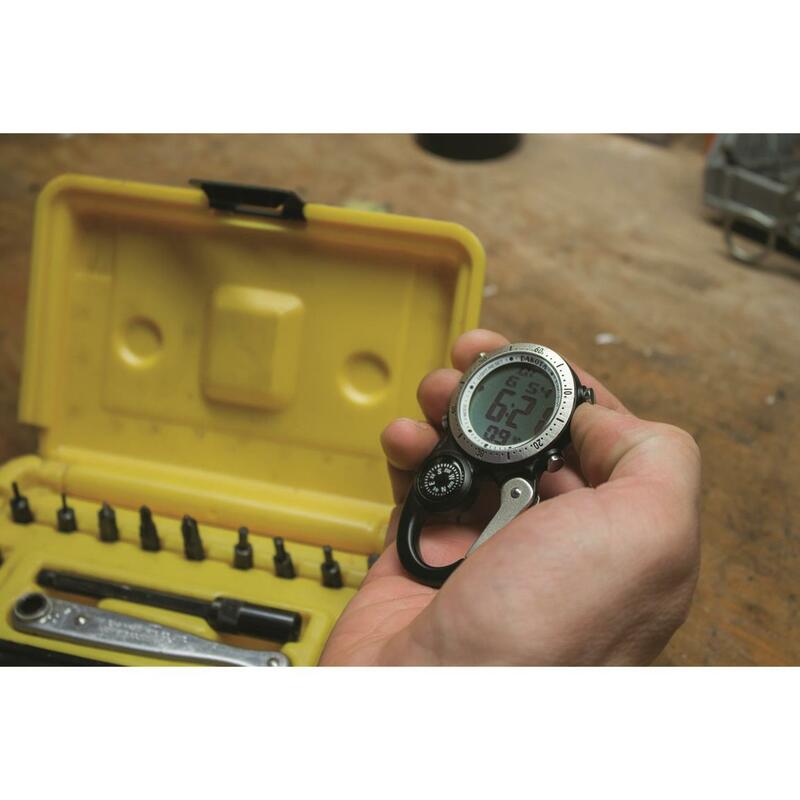 The integrated compass helps keep you on course while exploring. 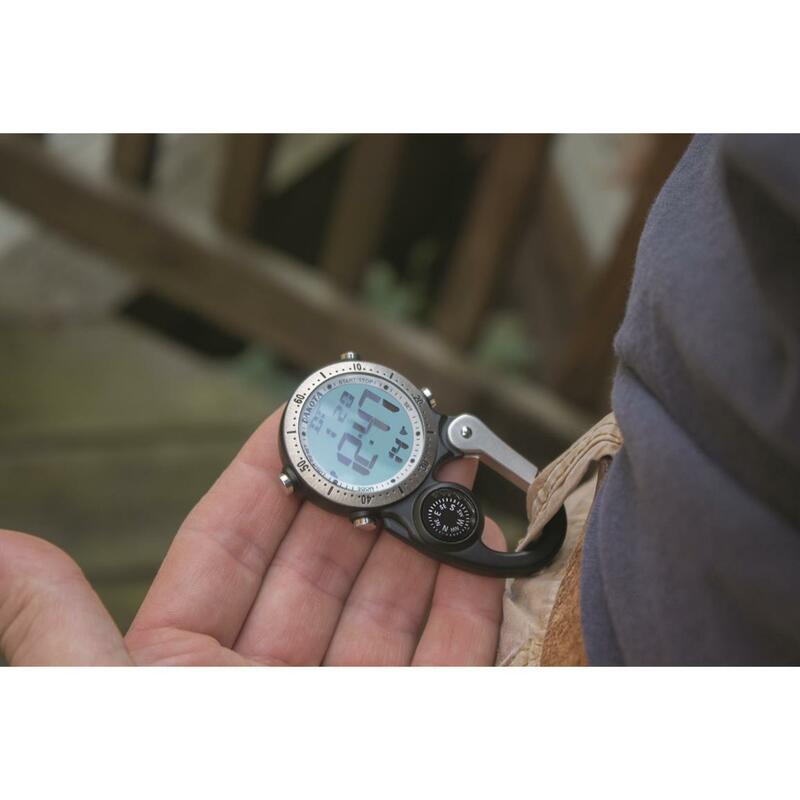 And not only is it small enough to keep in your toolbox, the carabiner clip lets you hook it to your backpack or belt clip. 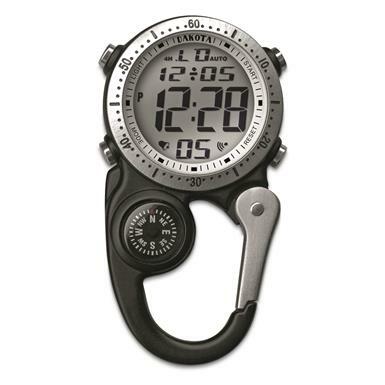 Get this Clip Watch for outdoor adventures or everyday timekeeping! 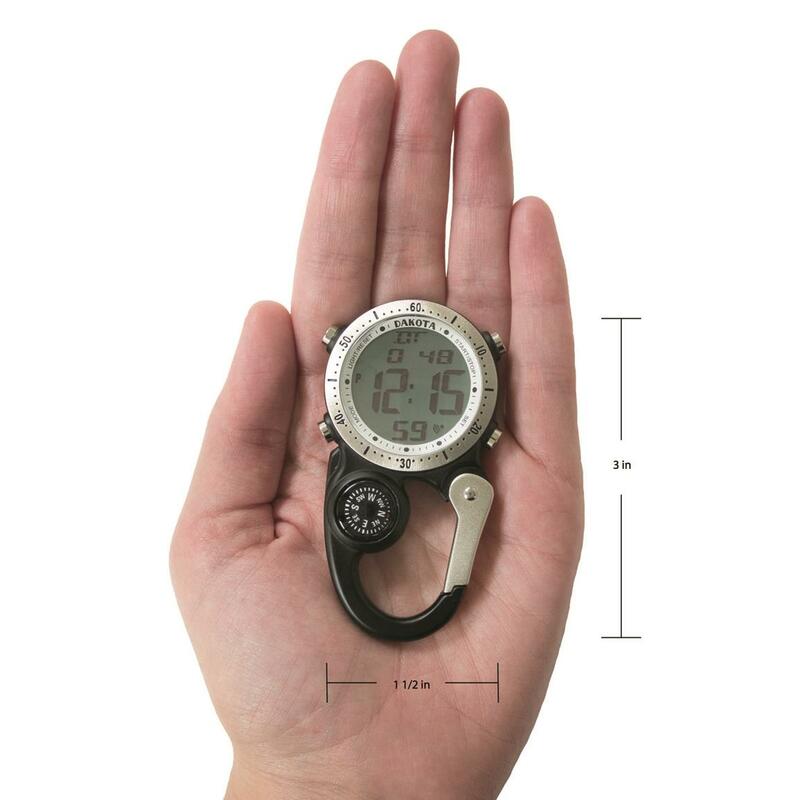 Dimensions: 3.5"l. x 1.5"w. x 0.33"h.